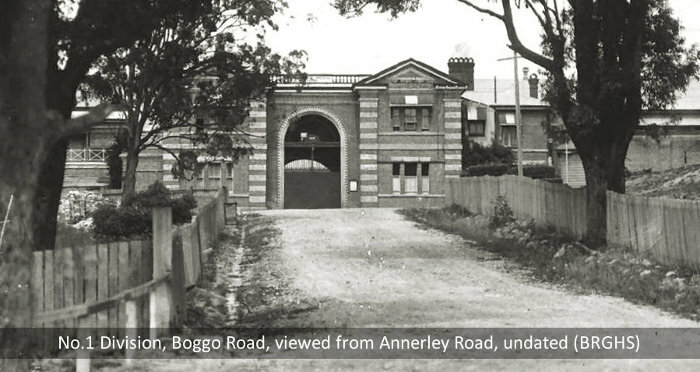 The first prison at Boggo Road opened in July 1883. It was designed to replace the older prison at Petrie Terrace (1860-83). Construction began in 1880, on the government reserves off Boggo Road in Woolloongabba (now Dutton Park). At first it was known just as 'H.M. Prison Brisbane' and had a single 54-cell wing, used to hold short-term male inmates or those awaiting transfer to the St Helena Penal Establishment. 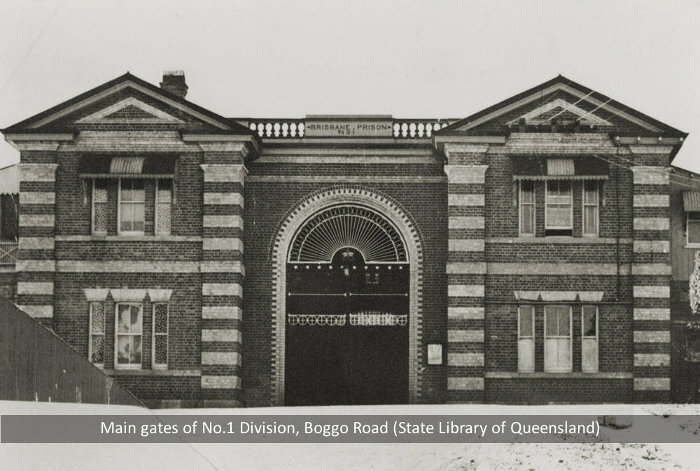 The colloquial name 'Boggo Road' was soon applied and has remained in use ever since. 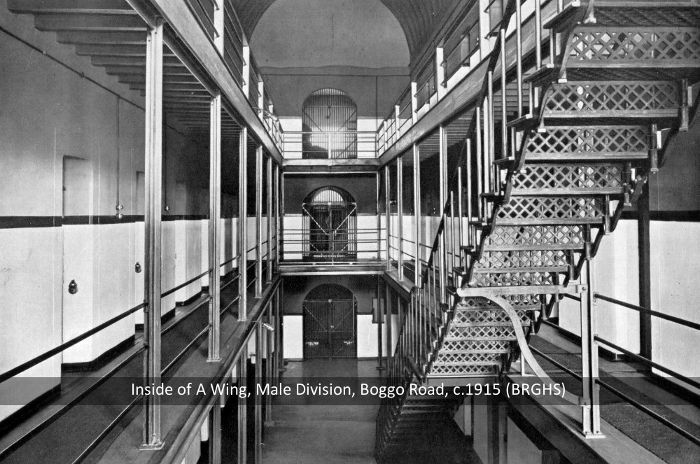 The prison was extended with the addition of two more cellblocks in 1887, with the original being named A Wing and the others as B and C. By 1890 this prison had about 178 cells. The prison system was yet to be modernised and conditions inside the 1883 prison could be poor. Prisoners speaking to an 1887 Board of Inquiry complained of filthy bedding and eating conditions, and outbreaks of disease were not uncommon in the prison. All Boggo Road executions were conducted on internal gallows inside A Wing (except for the first, in 1883, which took place in a prison yard). These original cellblocks were demolished during the 1970s. 1902: 'Prison Plaints: Growls From Gaol' (The Truth).